New issue of the "Croatian and Comparative Public Administration"
Dear readers and followers, the number 4/2018 of the journal Croatian and Comparative Public Administration has just been issued. This issue of the journal develops around two topics: administrative theory and administrative personnel. In the first block devoted to administrative theory, M. Pečarič explains the old effectiveness-efficiency problem and paradoxes araising thereof. 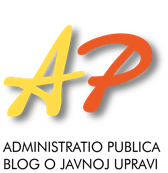 P. Kovač and Ž. Kotnik examine the performance of authorities in administrative procedures. In doing so they utilise statistical data for first level central state bodies. R. Šimić Banović, M. Basarac Sertić and V. Vučković examine the speed of a large-scale transformation of political and economic institutions in (post)-transitional EU countries. In their analysis they utilize the composite indicators of political and economic performance. The second part of the journal is devoted to administrative personnel. A. Musa offers a conceptual analysis of political advisors, while I. Kosnica explains the public administration recruitment practices in Croatia and Slavonia (1868–1918) with regard to citizenship and Croatian-Slavonian affiliation. The last scientific paper is written by I. Božac and it explains the social contributions of European Union civil servants. This issue of the journal concludes with a book review Ivan Koprić: Dormant Heart of Democracy: Local Governance forCitizens and Communities.